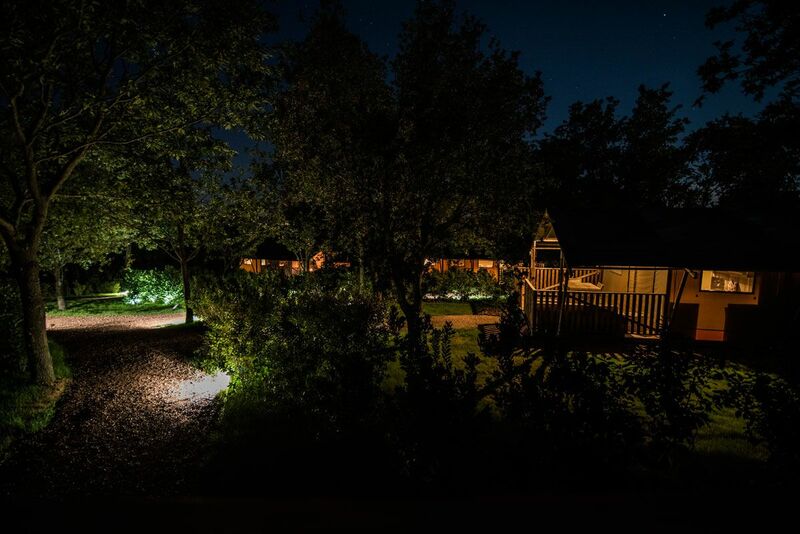 soon as guests have settled into their lodge-tents, their countryside experience begins, living to the beat of the nature that surrounds them, comfortable and warm in autumn, cool and fresh in the summer, provided with all modern comforts, private facilities and even a garden for exclusive use. 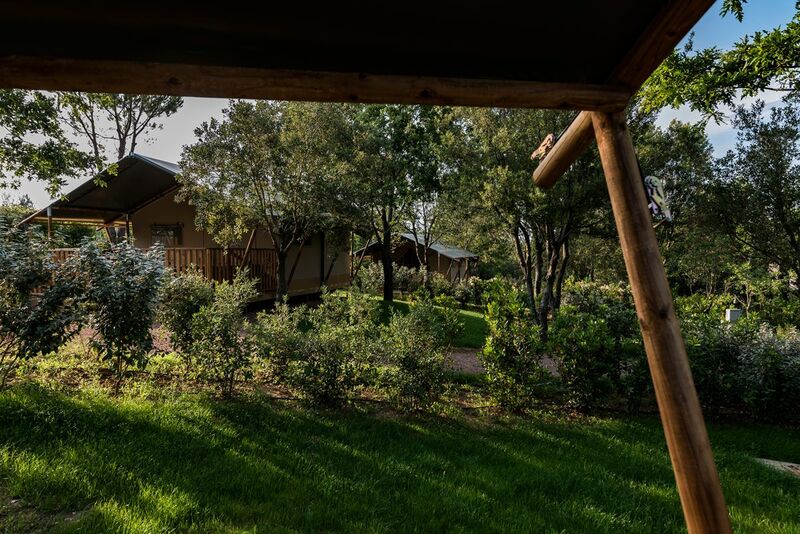 The wood floors and walls of our lodge-tents along with the country-chic furnishings guarantee a touch of glamour, as does the canopied bed, whilst the large veranda is ideal for al fresco dining and relaxation. 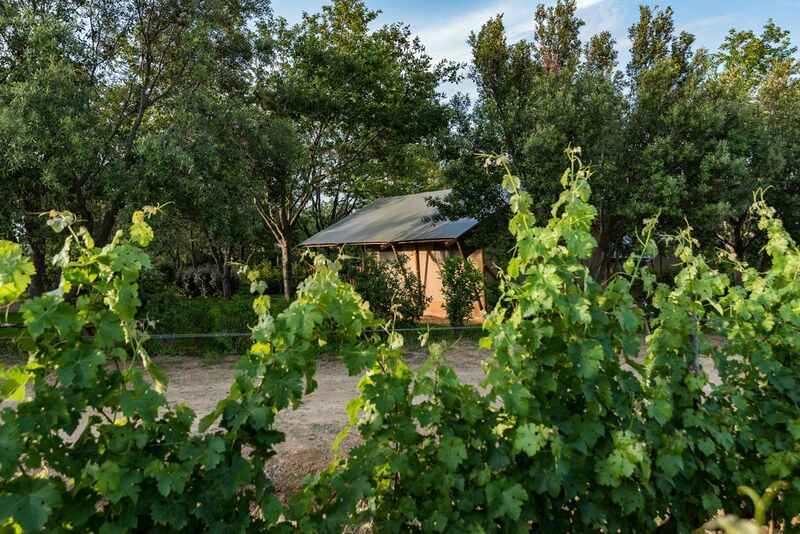 You will rediscover your true-selves as you wander through the woods, between rows of vines or along the 3km of marked trails that criss-cross the estate. 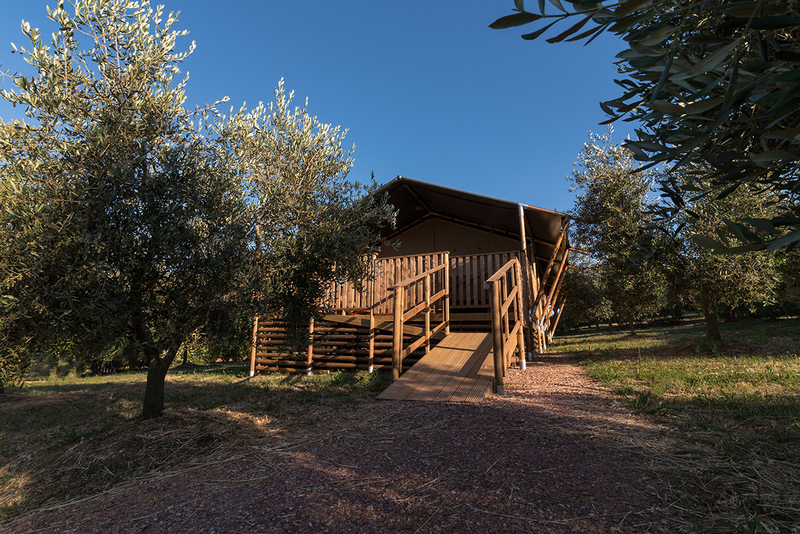 Pause to sit for a while in the middle of the olive grove and perhaps see some of the activities that represent country-living going on around you. 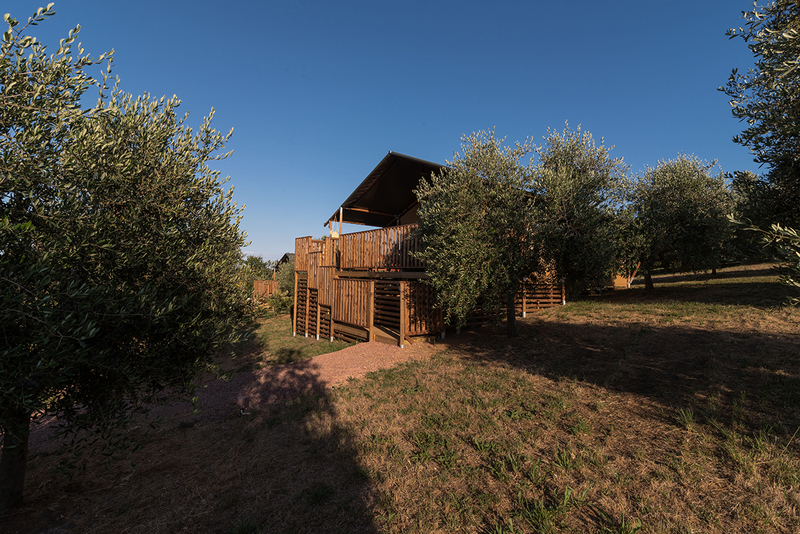 Leave us for a few hours to enjoy our local seaside and beaches, the small, historic medieval villages on nearby hilltops, or take a day to visit an Art City or two, go out and explore the trails through the district’s nature reserves and along its clifftops, once home to ancient Etruscan settlements. 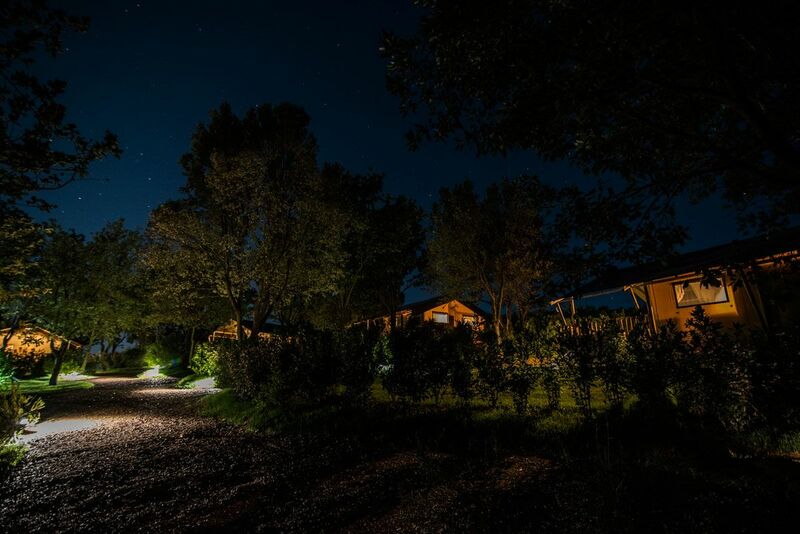 Guided tours are also available, including after-dark, and there are also boat trips to take you to some of the most beautiful islands in the Tuscan Archipelago which you can in any event admire and enjoy from a distance, especially at sunset when backlit by the sun as it disappears below the horizon. 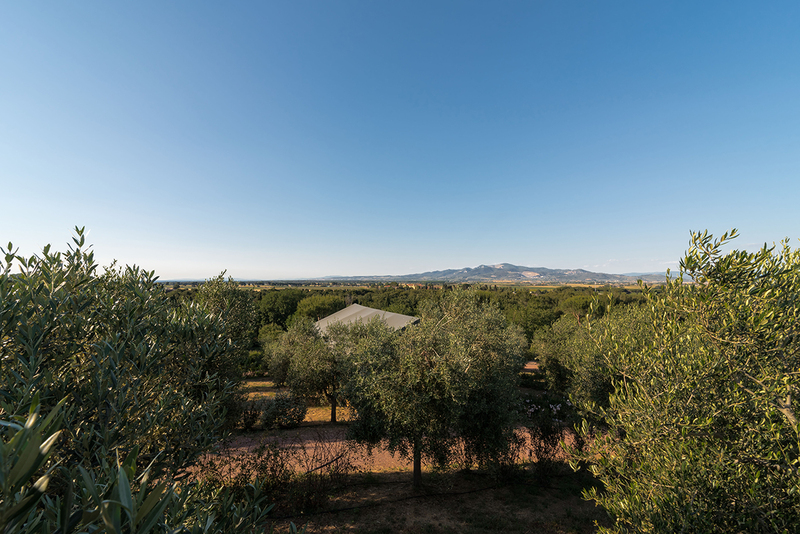 Returning “home” to us after time spent away, guests can visit our wine cellars and enjoy sampling our wine as well as other home-produced goods such as extra virgin olive oil, jams and honey – imbued with flower essences direct from the estate itself. 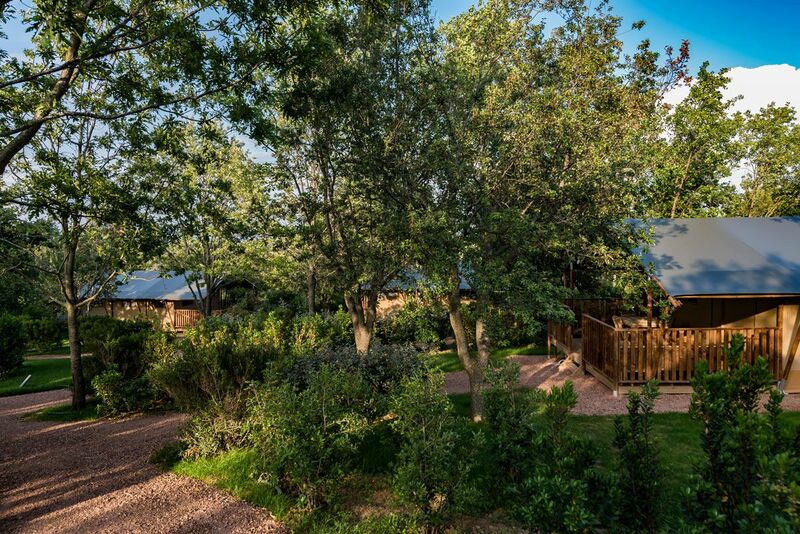 Here at the Poggiorosso Estate, we can’t wait to welcome you with a smile and do all we can to ensure you have a wonderful countryside experience. 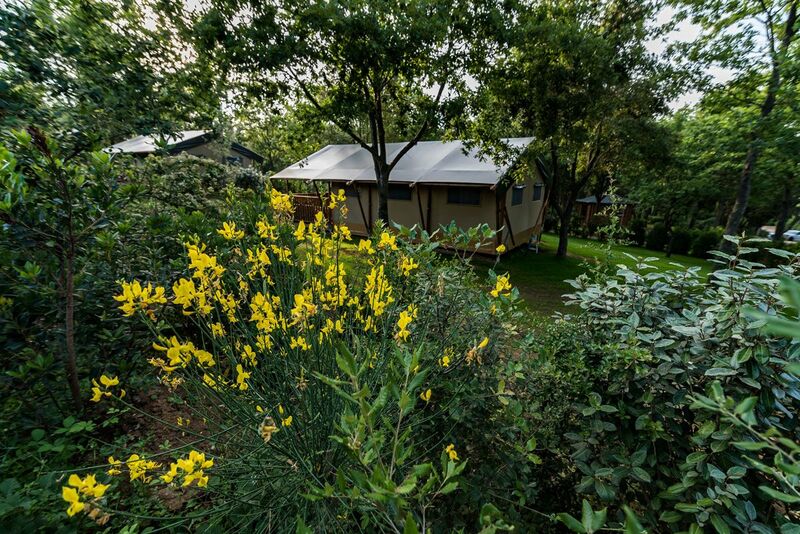 Our “glamping” tent-lodges are ready and waiting for you now!